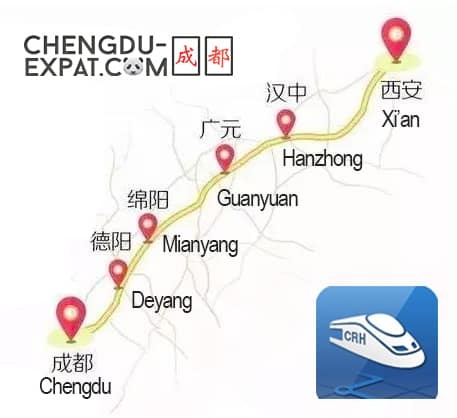 Departing from Chengdu East Railway station and arriving at Xi’an North station in just 4hr-4hr30m, this high-speed train runs several times a day, making it a great opportunity for the people of Chengdu to take a day trip to the capital of Shaanxi Province. 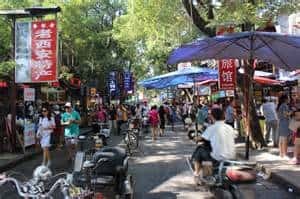 Previously, this journey took over 10 hrs by train which meant travelling to Xi’an and experiencing some of the fabulous street-foods and historic cites was nothing less than a weekend vacation, now do it all in a day! Below is an example of the stops and scheduled times for this new high-speed train service. 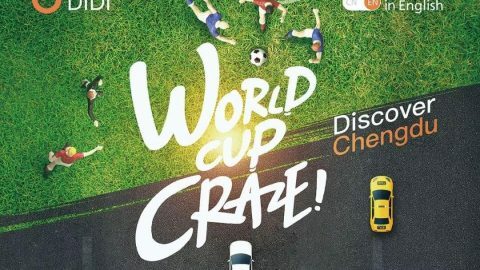 You can book tickets online at Ctrip.cn, through WeChat and Alipay and in person at train stations (passport required). 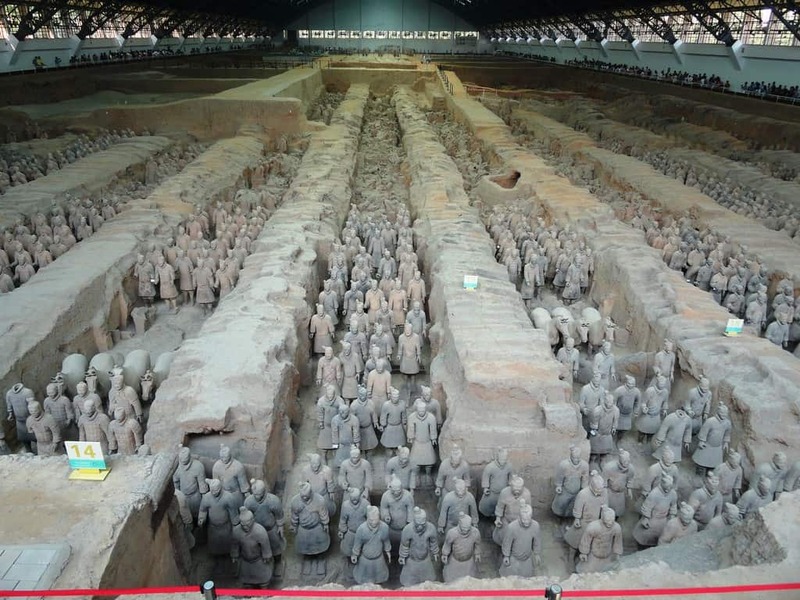 The army comprises of over 8000 terracotta soldiers, 130 chariots, 520 horses and their weapons. This fascinating architectural discovery is something that everyone should see, with no excuses now it is so easily accessible from Chengdu! Take Line 2 to North Street Station & change to Line 1 to Wulukou Station. Take exit D and take Tourism Bus 5, 306, or 914 to the Terracotta Army. 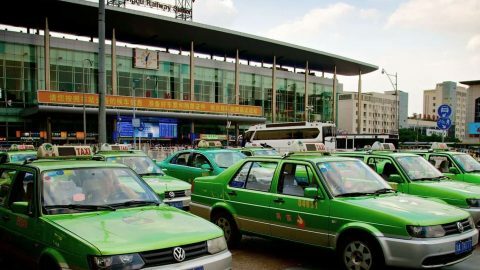 Taxis are not recommended due to the many scams, but if you can find a reliable one the price should be about 300 yuan. 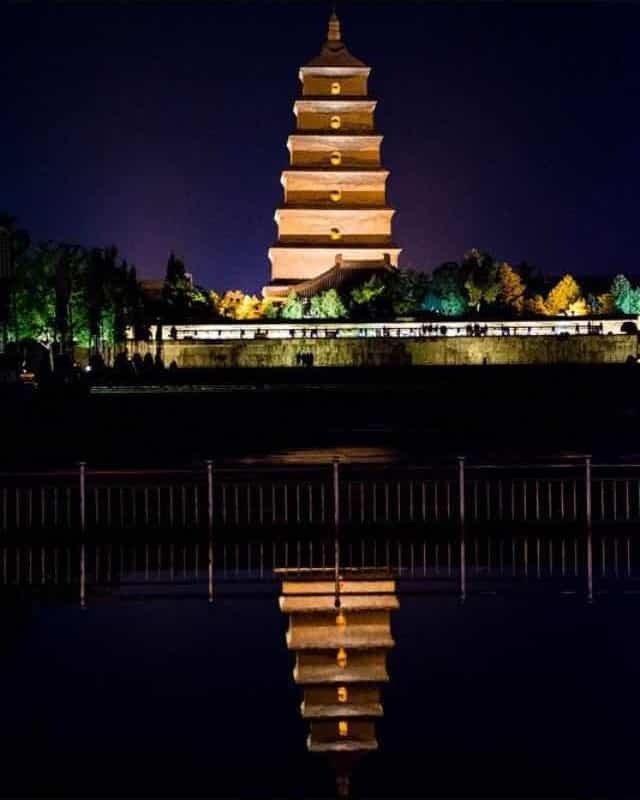 The Da Ci’en Temple is the home of the Big Wild Goose Pagoda with two main buildings; the Bell Tower & the Drum Tower. 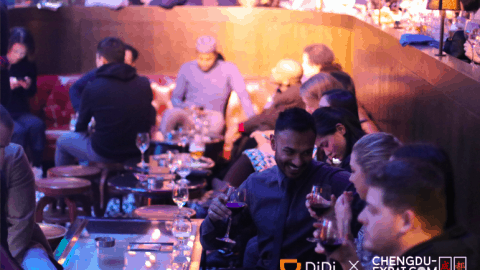 With a vibrant culture and a variety of famous street food, Xi’an is a place for the foodies! There are several food tours, but it’s easy enough to access great local snacks on Huimin Street or in the Muslim quarter – don’t miss persimmon doughnuts, beef and lamb roujiamo, liangpi noodles and green been jelly. 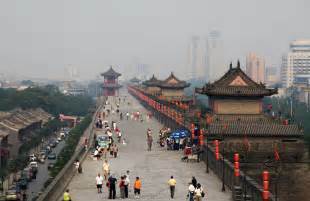 The wall is 13.7 km (8.5 miles) in length with a deep moat surrounding it. A great opportunity to hire a bike and take in the views of the fabulous buildings the city has to offer. 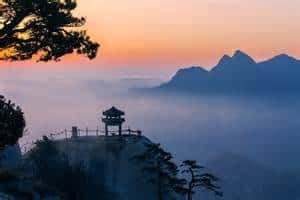 Located 120km from Xi’an, with 5 peaks, several different routes & endless beautiful views – Huashan Mountain is one of China’s most beautiful scenic spots and of religious significance since 2nd century BCE, when a Daoist temple was established at its base. 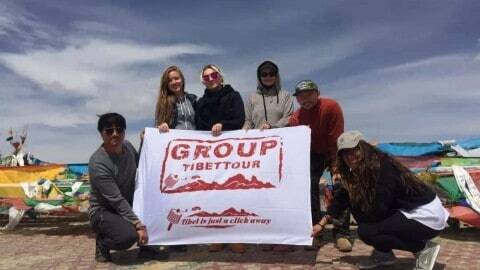 It is advised to climb before day break and watch the sun rise – although some of the hiking trails are notoriously dangerous like the plank trail. 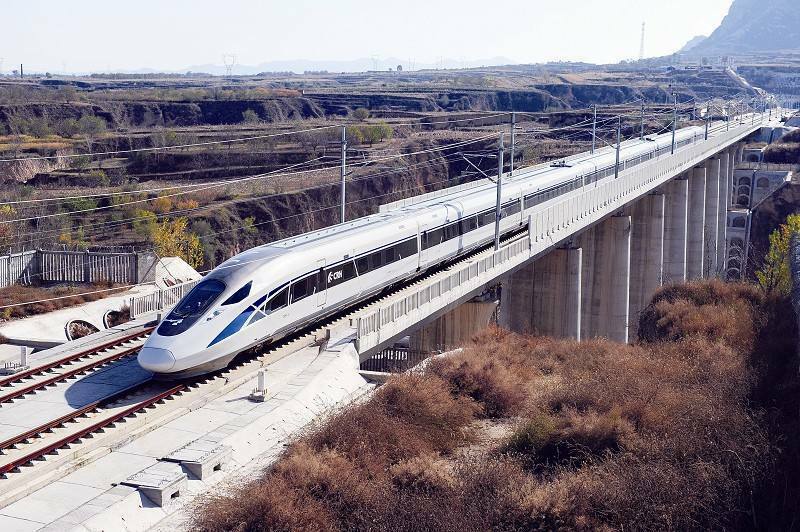 You can take a taxi from Dongshanmen Parking Lot to Huashan North Station with a cost of about CNY 25, and then take the high speed trains back to Xi’an. There are many tourist buses from the Jade Spring Temple to the east square of Xi’an Railway Station. 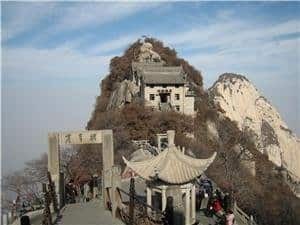 Note: It includes the main peaks scenic area, Jade Spring Temple, Xianyu Scenic Area and Xiyue Temple. The ticket is valid for two days. The mountain is open all day.